Dancing, teaching and the power of words hold a lot of importance to me. So when a person comes along who not only teaches dance with so much passion, but also whose words really resonate with me while he teaches, you know he’s got my attention. I can’t help but to want to listen more and learn more and ask more questions. 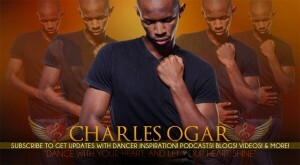 Charles Ogar has been one of those exceptional teachers of dance for me. And so of course, I was thrilled to be given the opportunity to delve a little deeper into the the mind and heart of this kizomba instructor through this interview. Thanks for your thoughtful and inspiring responses, Charles, and for sharing your love of dance with us! Tasleem: Kizomba is so abstract. Yet what really impressed me about your workshops is that your analogies helped to make some of the concepts so much more concrete and understandable. Where do your analogies come from? Charles: Anybody who’s taken my workshops or my classes definitely knows that my brain is kind of quirky in the way that I imagine things. I don’t really know where I get it from. But I guess I’m the most eccentric one of my family. I’m the only one that dances and I’m the only one that speaks a second language. I’m the oldest of 8. 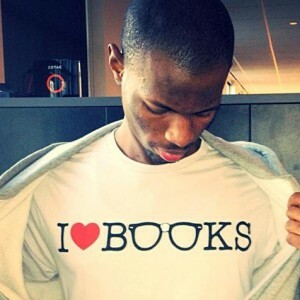 I did read a lot when I was growing up and maybe that’s where I get my quirkiness from. I read a lot of science fiction and fantasy, and I even read all the Harry Potter books! (laughs) So maybe that’s where my crazy imagination comes from. Also, teaching privates helps a lot. I’ve taught a lot of privates for kizomba. And they’re like a puzzle, because everybody’s brain is kind of mapped in a different way. And as an instructor, I get to figure out what is the best way for me to tap into their mind and body to help them learn. Are your analogies preplanned or do you just come up with them on the spot? They seem so natural, as if you already think in analogies regularly. I don’t preplan them necessarily. But when some of my analogies click with some people, I put those in my repertoire to use again. This is because I can see that they are effective in getting my idea across. And with others, I see what people are struggling with and I just come up with an analogy to help them with what I see might be lacking. So if someone is too stiff, I might tell them to try to be more like water, to imagine they are as fluid as water or to flow like honey. I just try to find different ways for people to imagine and to find things they can relate to. It also helps to know how that person’s mind works, if they are more technical minded or artsy. It’s great that you not only inspire people with your dancing, but you are also very perceptive in your teaching, recognizing that people learn in different ways. Yeah. It’s definitely important for instructors to cater to different people. Because if you have a workshop of 40 or 50 people, you’re going to have all kinds of personality types, all kinds of learning types to work with. Sometimes, people need to DO the movement to learn it better. Some people need to hear the count, some people need to hear the music. Some people need you to break it down step by step. Some people need you to just kind of make a noise- like ooh. Ooohh oooh, ahh ahh ahh (he makes these sounds in a slow, slow, quick quick quick rhythm). And I make a lot of noises in my workshops (laughs). But yeah, in my lesson plans I am focusing on WHAT I’m going to teach. But I guess I just keep the HOW in the back of my head, as I take in the different kinds of learners in the room, and I adjust accordingly. But the more you teach, the better you get at it. I also ask for feedback from my students. I know some instructors don’t do that, but that’s one thing I like to do. I like to get testimonials, not just of the positive things, but also suggestions for how I can improve. Even in my privates, I ask for feedback so I can see what is clicking for people and what isn’t. I want to make sure people are getting their money’s worth because they are investing in me and my talent, and I do want to help bring them to the next level of their kizomba dancing. A few leads in the salsa scene have told me that they would love to learn more kizomba but they struggle with what appears to be ‘less structure’ and more improvisation in the basic step of kizomba, compared to salsa. 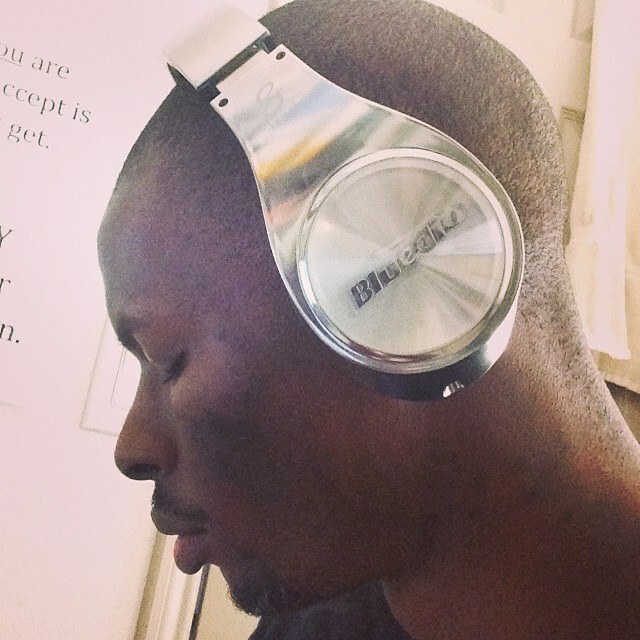 Do you think that aspect of playing with the music in kizomba can be learned even if you don’t already have it? I have a musical background so that helps, but you don’t have to play music to learn musicality. You just need to understand that there is a structure to music. There’s always a structure. Sure, in kizomba, the basic steps usually do not repeat on an 8 count, but there is a musical structure to it. So if I’m going to put together a song and I’m going to get a guitarist and a pianist and a drummer, we’re not going to all get together and just play random notes anytime. There has to be a flow, there has to be a structure, there has to be a rhythm for everyone to be guided by. So for anybody that dances any dance, they should be aware that there’s always a structure to the way music is composed. So how does this differ with kizomba? The difference with kizomba from Latin dances like salsa and bachata is that the count in kizomba does not dictate my direction. But I’m still dancing to the counts. I mean, for me to dance musically, I have to flow with the music. I have to flow with the beat. So I’m still dancing to the beat of the music and the flow of the melody, the rhythm of the song. But the count doesn’t dictate my direction. As a lead, I have the freedom to move with my partner in the direction I choose and I ask myself, what am I inspired to do? What am I listening to in the song right now? Am I listening to the voice in the song which is really soft? Am I listening to a syncopated beat which is faster? Or am I just listening to the bass beat? Also, what kind of energy am I getting from my partner? So it’s definitely something that can be learned. I mean, if I can learn it and start teaching it, I’m pretty sure anybody can. They just have to trust themselves and their musical intuition, which is like a muscle. The more you use it the stronger it gets! How do you approach this timing issue when you are teaching? In my Neo Kizomba method, I introduce different timings to give people a stepping stone into the musical freedom that they have with kizomba. I give the timings names. For example, the ‘Groovy Timing’ helps with the structure to the 8 count. It is the slow, quick, quick, timing; whereas, the ‘Hold Timing’, as I call it, is quick, quick slow. And by ‘slow’ I mean hold that step for two counts, and ‘quick’ refers to holding it for one count. I should try to make a video of this on youtube. I would also suggest that people struggling with the timing in kizomba listen to a song and not worry about the base beat. Just leave the base beat as it is- it’s what’s doing the counting. They can then start to hear the other elements in the song. Listen to the voice, listen to the synthesizer, listen to the guitar and follow it, for example. Because musicians, when they’re composing, they’re flowing with the eight count. But if they do a solo, or a jam session, they’re just kind of feeling the music and expressing what they feel at the moment, you know? And that’s not structured to the counts, even though they’re flowing on top of the structure of the eight count. So it’s a process, but once you train your ear to hear it, you can start to play with it. Even in other dances, if you look at some of the most well known salsa dancers- Magna Gopal, or Alien Ramirez for example- their musicality is insane, you know? They’re not listening to just the counts anymore. They’re listening to the music and saying okay, how can I express THAT with my body? And there’s where the creativity comes in. That’s when you are really listening for other elements. 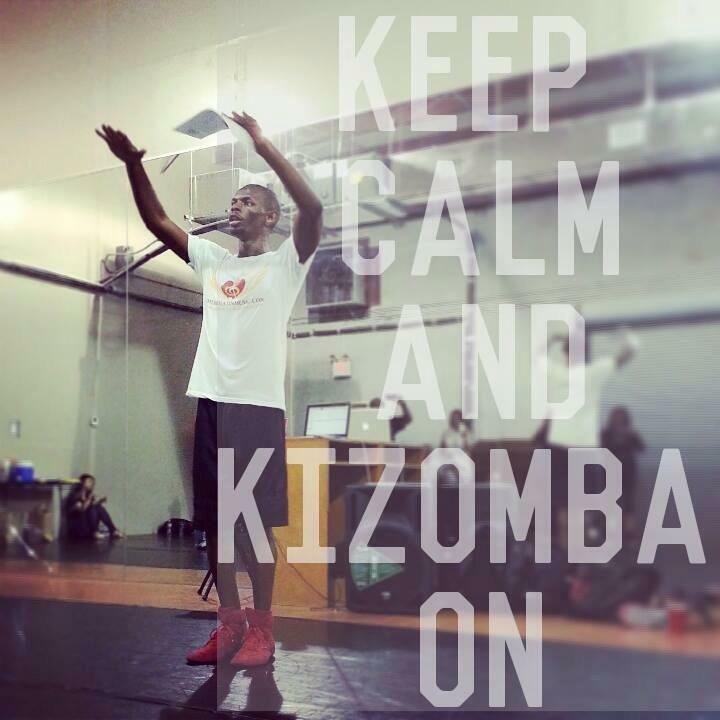 Maybe I need to post some tips for some kizomba creativity soon. That would be a good idea for a blog or youtube video. Sounds good. I think that would be really helpful. Speaking of videos, there are a lot of different styles of kizomba posted on videos on the internet. And this can be confusing especially to people who are new to kizomba and want to know what it is. 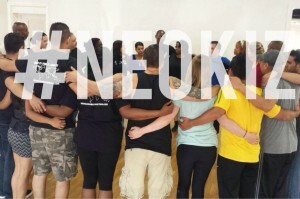 I like that you have your own Neo Kizomba style named, because it makes it clear that it’s one style under the bigger umbrella of kizomba, if you will. Sometimes, though, a dance can get really far away from the actual roots of the dance when people experiment with adding other styles into it. 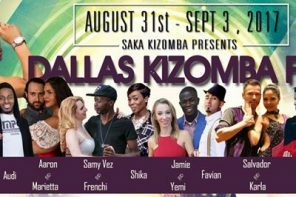 How important is it to you to keep to the traditions of kizomba dance and how do you do this while still maintaining your own style? That’s a v ery good question. So before we even focus on kizomba, let’s take a look at other dances that are also popular like Salsa. There are so many styles of salsa- you have Cuban, Son, On2, Puerto Rican Style, Columbian, Pachanga, Mambo, Latin Jazz, etc. All are styles of the same dance but they all kind of have their own unique sounds and components. But they’re all under the salsa umbrella. Same thing with bachata. You have different styles of bachata. And I just think over time, because of the evolution of it, the original music compared to what it is today is very different. And it’s the same thing with kizomba. You can listen to the older, ‘Retro Kizomba’, as some people call it, and it’s very different from what you hear now in places like Paris, or with the kizomba remixes we have of John Legend and Beyonce. 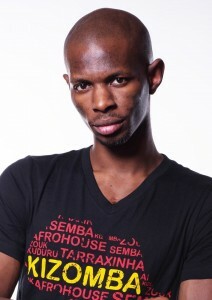 Do you have a preference of wh at type of kizomba music you like? I click more with the newer versions of kizomba, more so than the old school ‘kizombas’. I can dance semba, I can dance retro kizomba, and it’s not that I don’t like them. But if you gave me a choice between them, I’m going to want to dance the more modern styles, because I can play more with the instrumentation in them and I can relate to the songs. Some of the songs are what I listened to when I was growing up and I was familiar with the artists even before dancing kizomba. I would still like to listen to the same artists I grew up with because of the day and age that we’re in right now you know? But my philosophy is that the music is king. For the girls that have danced with me with Neo Kizomba versus Retro Kizomba, they will notice a big difference in the way I dance each of those. For the retro kizombas I dance more traditionally, but if you dance with me with a song by Elji for example, you are going to get a whole different dance with lots more musical creativity. I don’t box myself into one style per se, I adapt to the music first and then my partner. I like that because it gives recognition to where it comes from, but also gives space for new elements and growth. 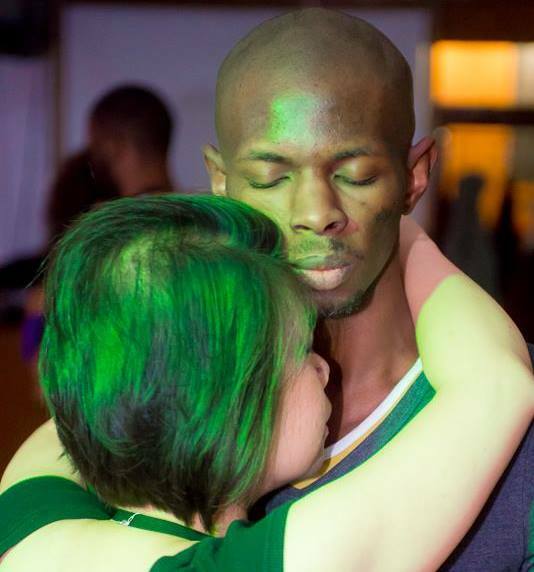 Yes, I believe it’s very important to have a general understanding of the history of the dance and music when dancing kizomba, but at the end of the day people want to have fun and dance, and you don’t need a masters degree in the history of kizomba to enjoy the music or get on the dance floor. You mentioned the roots and those people who wish to stay true to the roots. But often those people are the same people who grew up with the dance. So they also grew up with the older style of music, singing and dancing to it at parties when THEY were growing up. So of course, it’s going to have some sort of sentimental value to them. 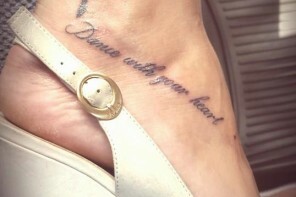 Just as I enjoy dancing to the music that I grew up with. But that doesn’t mean I’m taking away anything from the music that came before. I understand and often say in my classes, that if you go to Cuba, and you find a couple that has been married for forty years, and they’ve been dancing salsa all those forty years, they’re not going to be doing what we do here. They’re not going to be doing hammerlocks, they’re not going to be doing triple spins, they’re not going to be doing Suzie Q’s, or anything like that. But they’re going to be singing and dancing with all of their heart because they grew up with that music. They’ve been dancing to that music for the past forty years. And it’s something they love to do which is going to be very different from going to a salsa class nowadays. It’s the same thing I see with kizomba. What do you think contributes to the differences between then and now? Well, for one, back in those days, the barriers between nations and cultures were very strong. If you were in Cuba, and maybe saw a little bit of what was going on in the news through TV, it wasn’t like you got on facebook and you messaged your friends in all different countries in the world about it. The vast access of information that we have worldwide nowadays is insane. And I think that also makes it hard NOT to share and have music and dance evolve the way it has. Look at Jay Bee, the DJ who makes those new Kizomba remixes. He’s in Germany, and people are jamming out to his songs all over the world -in Paris, and France and Spain. Even here in the U.S and Canada- wherever I go, they usually play a lot of his songs. He can put out a new song, and in a snap, just like that, people can listen to it all over the world. So when you take a look at the times that we have now, versus the times that we had back then, it’s very hard to not blend dances and music. Though I’m not a kizomba historian, it’s my understanding that kizomba itself comes from a mix and blend of various rhythms as well. You have zouk, and then you have the kompa, and then you have semba, and then you have the kizomba from Cape Verde versus the Angolan style. They all kind of put their own flavor into it as well. What are your thoughts about fusion dancing? I think it’s awesome (smiles), even though I haven’t experienced it first hand. It really intrigues me! I mean, we hear people that are doing tango fusion, and blues fusion, and all this. Everywhere I travel, I keep hearing more and more about fusion. And at the end of the day, it all comes down to terms of lead and follow. Are you understanding what I’m trying to convey to you at this moment, non verbally, through my body, based on the music that we’re both listening to? Even if we take off the labels of the dance, and the rules, you still have a nonverbal communication between people. Dance is still that communication no matter what style you choose. I do respect the roots of the dance. I know without that, we wouldn’t have what we have today. And I think it’s very important to know where it comes from. But if you understand that, and you have a particular preference for one style or another, then I say go ahead and do the style that fits you. But the important part is that you don’t have to bash the other side as if one way is superior to the other. It’s just a personal preference. We should still be able to have a nice social and enjoy whatever style we want to- old and new- together. There doesn’t need to be a big dispute about it. I mean, we’re just ALL trying to be happy and just dance. I just think Dance, at the end of the day, is Dance. And it’s meant to be enjoyed and celebrated. Good point. It is sad when all the politics of dancing takes away the fun of it. Especially for people who have just started dancing kizomba. It’s hard enough learning the dance aside from learning everything there is to know about the history. I believe people will eventually get exposed to the history of the music and dance by taking different classes with different instructors. It’s one thing to create a curiosity or thirst for the knowledge, it’s another to force feed it and take away the enjoyment of learning. If you are teaching kizomba or desire to, I don’t feel you need to be a kizomba master and have all the knowledge of kizomba at your fingertips. I didn’t when I first started and I’m still learning, I would have never gotten where I am today if I was worried about having to know everything about it first. It’s a journey. 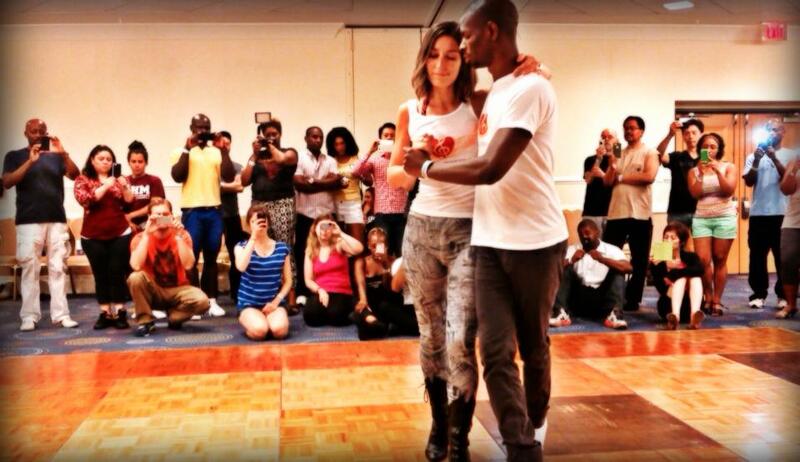 If you decide to start teaching in your city because you want kizomba to grow, by all means start. My advice would be to make sure you stay ahead of your students and to proactively seek opportunities to learn as much as you can while you teach what you know. Stay committed. Your students will recognize and appreciate your efforts to help them, as well as yourself, develop further.